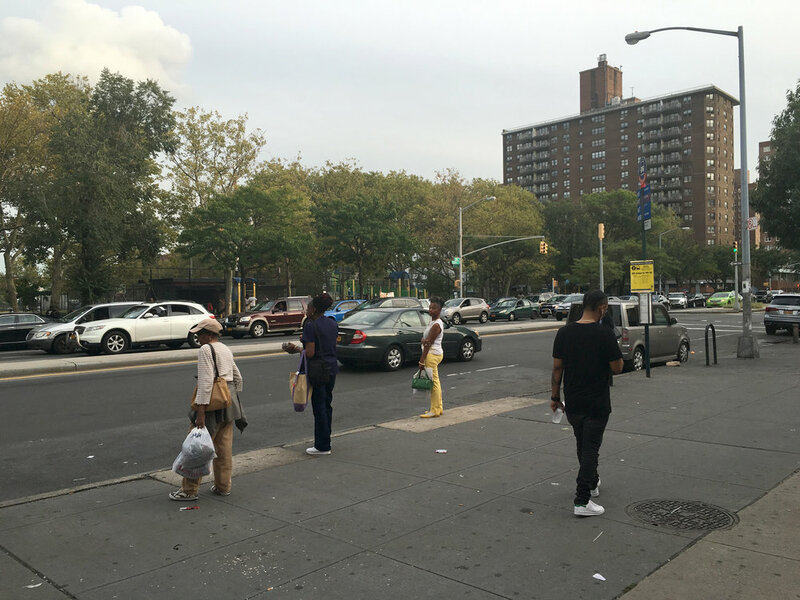 Engaging NYC residents with Air Pollution data by harnessing technology that connects people to the earth’s air. 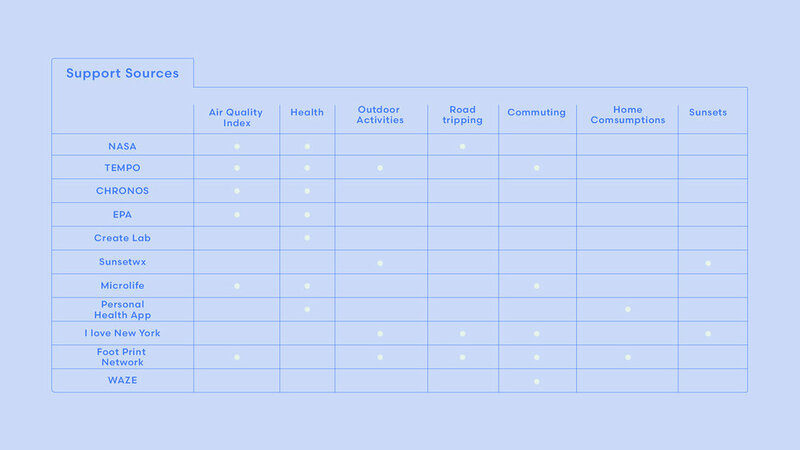 A citizen science conversational interface that connects people to the earth's air, unlocking new ways to engage and understand air pollution and its effects at various scales. Presented at the ‘Oxford Futures Forum; scenario planning and the climate change imaginaries of the arts and humanities’ and finalist for the ‘Center for New York City Affairs Prized Solutions: Reimagining NYC competition’. My team and I were faced with the task of exploring the potential correlation between individuals’ access to more knowledge on air pollution and subsequent behavior changes towards more sustainable practices and lifestyles. Focusing on New York City’s challenges with air pollution, we found a partner in NASA Earth Science. NASA, who was launching two new satellites at the time, Tempo in 2018 and Chronos in 2020, has a sector of their agency working on collecting air data in order to measure air pollution in the United States to the square kilometer every hour. This new incoming complex data would be able to provide for the first time an unprecedented understanding of air pollution that has never been achieved before. With this realization, the question that guided our research became, “How might we use this data to drive positive change?”. Our research revealed that while vast data visualizations, personal weather like devices, and information existed on the topic, pollution was still an invisible topic that lived separate from the public’s daily life and preoccupations. In order to connect pollution to the context of daily life for individuals we turned to behavior science and design, combining knowledge from the two disciplines as the means that would help us get pollution data into the hands of citizens so that they could take action in everyday life. My role in this project extended from problem framing and defining to the design and implementation of the final project outcome. The following four areas explain in more detail the extent of my role. Interdisciplinary Research - problem framing, implementing primary and secondary research, and synthesizing research learnings. Design Strategies - leading the synthesis of interdisciplinary research findings into the development of design strategies, principles, and frameworks. Visualization & Systems Thinking - using visualization and systems thinking practices to communicate project findings and drive research and project development. 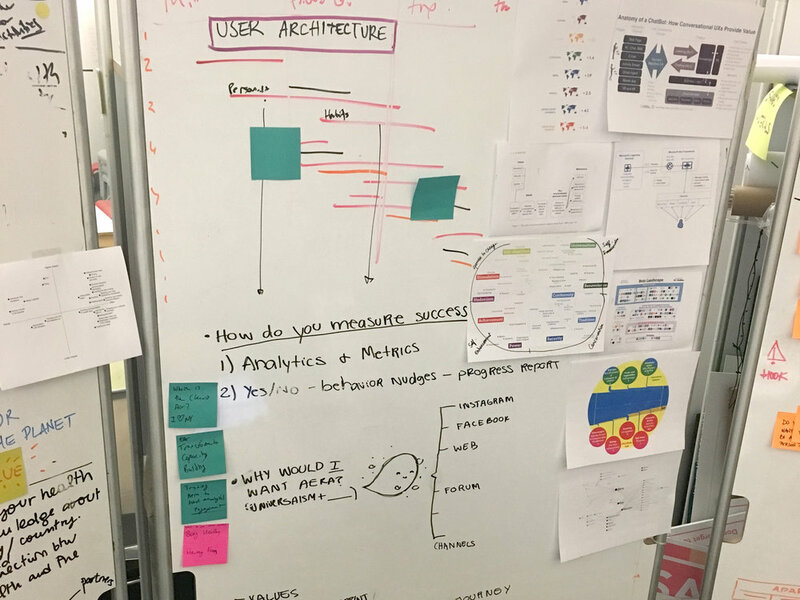 User Experience and Interface Design - designing and developing the final interface architecture, service blueprint, user experience, and interface for the final outcome. 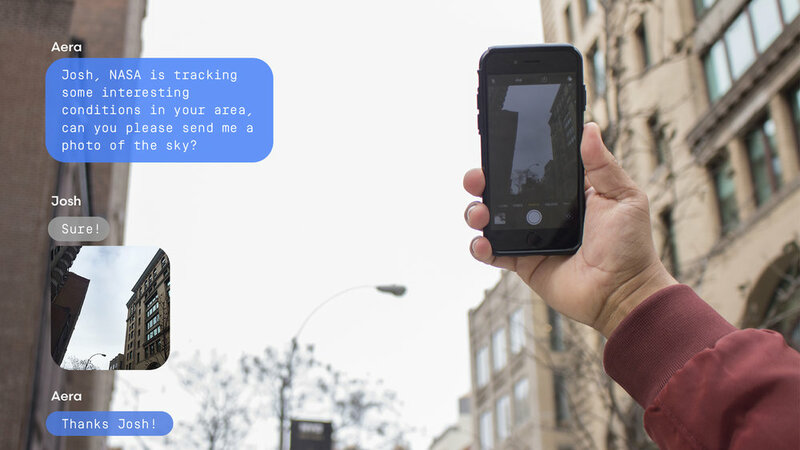 The conversational interface, named Aera, connects individuals to their local environment, notifying users of the status of air pollution around them, creating in turn greater awareness of that pollution. 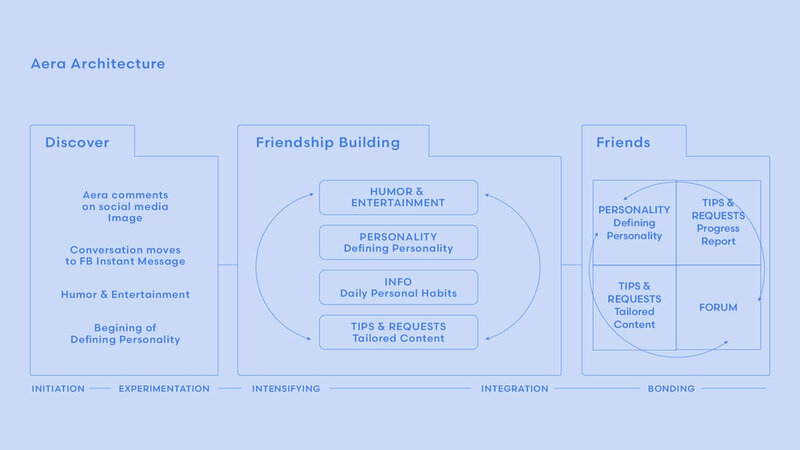 Furthermore, the interface creates a platform for behavior change by helping nudge users to be better actors, using entertainment, and personality traits to ultimately build capacity for transformation into more sustainable practices and lifestyles. The interface itself works across mobile applications such as social media, messenger, and calendars. Most prominently, the “personal” narrative and conversational framework that shapes Aera, which was created using earth’s geological history, allows for complex data to be anthropomorphised unlocking new ways to engage and understand air pollution and its effects at various scales, all the while leaving spaces for the interaction to evolve seamlessly overtime in anticipation of future NASA satellites, Tempo and Chronos. Aera was designed to bring the overwhelming scale of pollution to digestible and actionable terms. Ultimately, through daily interaction, guided by psychological models, and infused with predictive analytics, Aera can direct and facilitate personal transformation for collective political action and larger social change. A nudge function which shows up in social media, calendar and health platforms as a friendly reminder of how to be a better actor. A chat function which gives current local pollution conditions and answers questions about pollution at various scales. Personal: through awareness, tips, nudges for individual behavior change. Aera is constantly learning about you, and how to positively affect you by leveraging your daily habits, your understanding and relationship with air. Political: Aera keeps a person informed about decisions which are being made that will affect their air quality, whether it is the building of a new factory, for voting to pass a new law, or simply staying informed about your local community.